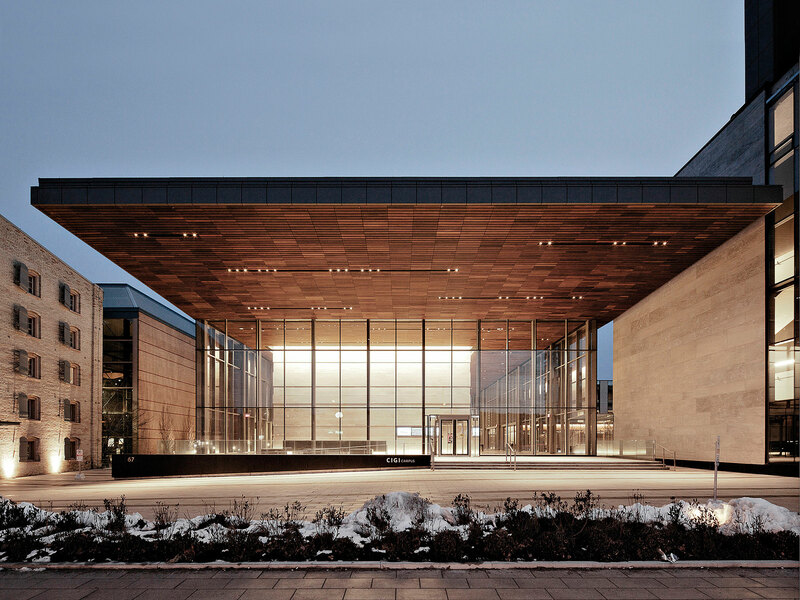 The CIGI campus transforms the historic Seagram distillery, the only site in Canada surrounded by three Governor-General-Award-winning projects, into a think tank on international governance. 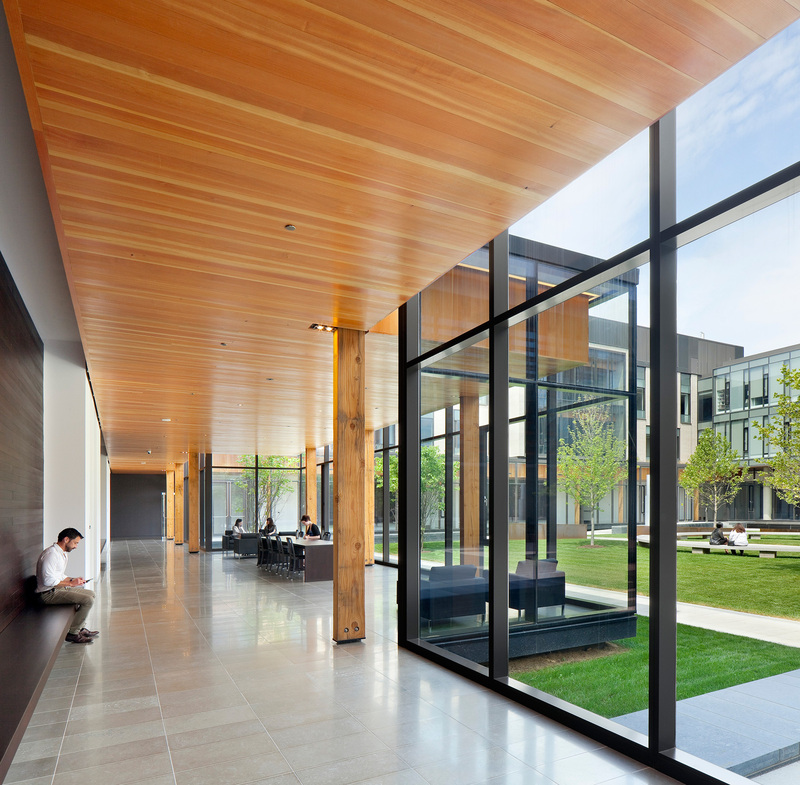 The design presents a contemporary interpretation of the academic quad with three interconnected buildings organized around a courtyard. A two-storey glass pavilion with an entrance canopy and bell tower marks the main public entrance and contains the auditorium. The massing and expression were designed to relate to the heritage context of the area’s 19th-century industrial fabric. A key element in Waterloo’s revitalization vision, the project demonstrates the benefit of architecture. 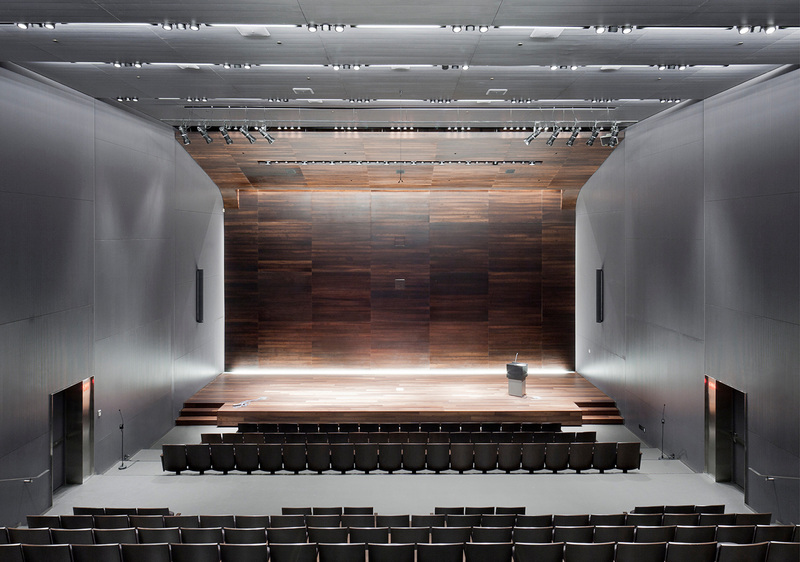 "The jury salutes the elegant restraint of this project. 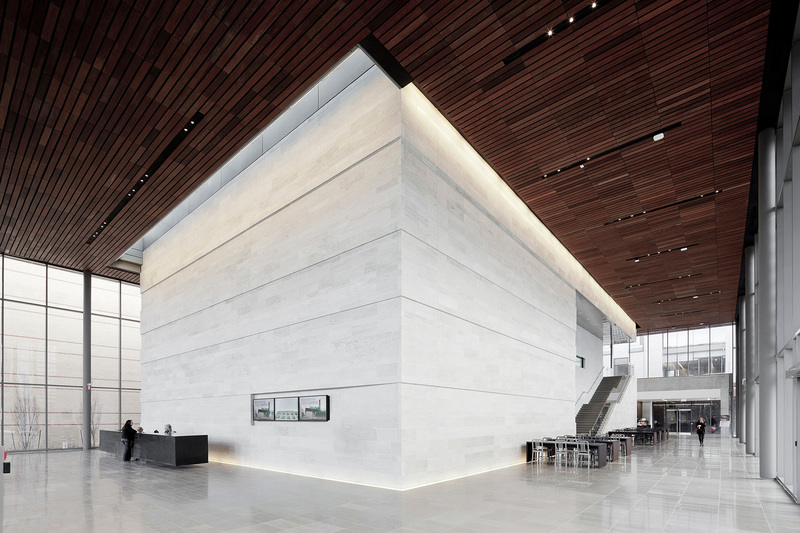 Its roof overhang attracts the eye without being attention-grabbing; it calmly engages its patrimonial neighbour and prefigures the physical comfort to come, inside. Careful use of materials evokes a sense of comfort and longevity. A well-proportioned landscaped courtyard furthers the serenity and liveability of the center. A profoundly humane environment is achieved."